Welcome to the full release of Lasso Professional 8.6! You asked, we listened! 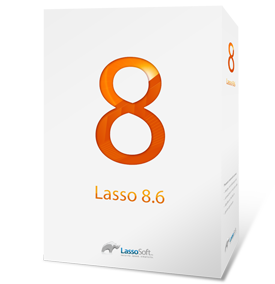 By popular demand, we are pleased to announce the full release of Lasso 8.6, fine tuned with the help of your feedback. If you have experienced performance issues with 8.5 but you're not quite ready to move to Lasso 9, Lasso 8.6 is for you. This new upgrade officially supports more contemporary versions of OS X and CentOS operating systems, as well as providing a healthy list of updated features and fixes. This paid upgrade offers a variety of choices in licensing levels so you can find the package that best suits your needs. Check out all the information on the features and options for the new Lasso Professional 8.6 upgrade. This includes monthly subscription options or selecting a perpetual license with the general number of instances you will require to be effective. Here you can check out our pricing calculator so you'll know exactly what your investment is for upgrading from your current Lasso version. Note: This was released initially for Mac and Linux, with the Win upgrade shortly after. If you have not experienced any issues with Lasso Professional 8.5, the 8.6 upgrade is not required. We encourage you to work directly towards the new Lasso 9 release, and watch for more changes and updates in Lasso 9 that are planned to be released this year. Lasso Professional 8 is a scriptable web application server. It includes LassoScript which provides an advanced and powerful tag-based language tool. You can customize your own solutions by following guidelines and references contained in the Lasso Language guides and online in the LassoDocs section of the LassoSoft site. 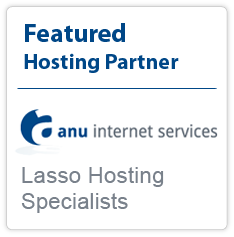 Want to run Lasso Professional 8.6 and Lasso 9 Server side by side? Try our new Master Leased license and you can get 5 instances to use for either for only CAD$49/month - see the article on how this is done, and read about our license levels to learn more! "Ease of use and connectivity to Filemaker is what got me into Lasso and what keeps me with Lasso."